No matter where you turn, we are all on information overload, and conventions can become just one more flood of too much content that interrupts the running of our businesses. 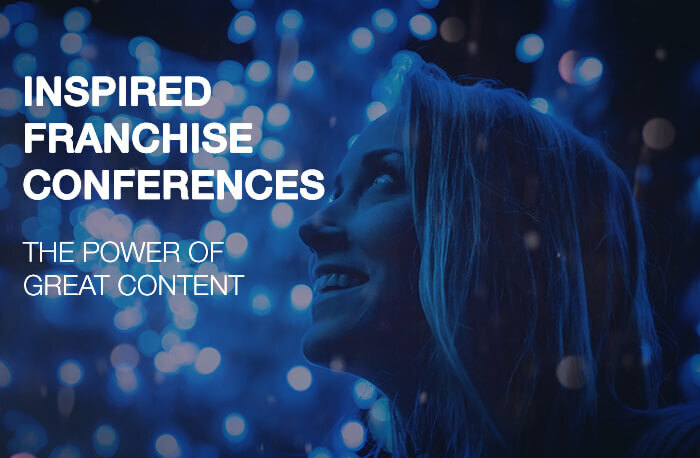 However, many franchise organizations have found imaginative and collaborative ways to get their business-critical content into the hands of their participants, in an engaging and highly successful way. ARE YOUR EXECUTIVE PRESENTATIONS BORING? Most speakers know their content inside and out – but their audiences do not. There are 10 powerful and simple tools the best executive speakers use to ensure that their content is 100% accessible and useable by their audiences. Find out what they know by downloading your free report today. Most conferences and conventions have a theme, but only a few really leverage its full potential. Instead, they put a graphic and a few inspiring words on their materials and scatter it among their content, but it is forgotten as soon as the event is over. The best themes have long lifespans and help make the meatier content clearer and more actionable. Find out the top considerations for creating a theme that elevates the impact of every event in our free white paper. New franchisees, under-performers and top performers with a lengthy track record all have different needs at your convention. Giving them the same information in the same way really doesn’t work. Find out how you can design a more customized convention experience for ALL your attendees, whatever level they are at at the moment. Check out where you might be missing a great opportunity to reach your attendees outside of the session rooms for greater impact.